Today, we are living in the age of change and dynamism. The world as we know it is increasingly changing at a faster pace defined by global competition, faster flow of information , easier communication & increasing complexity of business environment. Dynamic Business Environment:With these rapid changes, new paradigms of business are constantly getting created, while the status quo is continually challenged by forces of technological breakthroughs, economic growth, market evolution, societal changes, shifts in consumer tastes and political events. and contractual labour as a means to mitigate the cyclical changes as well as manage costs and efficiencies. Employees do not profess complete and lifelong loyalty to the employer. A talented and committed human resource base is emerging as a source of great competitive advantage. The companies need to invest in their human capital fully well knowing it could be their riskiest investment. Hence there are risk – mitigation / hedging methods in HR which are observed in recent times like the ‘Employment Bonds’ that are being used by the organisations as tools to minimise the potential loss of a bad people investment. employee & employer is impacted. Organizational Psychology is a subject which applies the principles of psychology to one of the most important areas of people’s life – work. Specifically, with the human aspects of the workplace and aim at improving people’s efficiency, and hence organizational effectiveness, through the knowledge of human behaviour. The new employment contract is analysed from inside and outside organizations and the issues are addressed from both a human resource management and work psychology perspective. Valuing the employment relationship implies that both the parties viz. The employers & the employees should value trust in the relationship. Employers should pay attention to building employee’s trust in the organisation through transparency and management credibility. This means clarifying what is on offer, meeting commitments, or when necessary, explaining what has gone wrong and monitoring employee attitudes from time to time. Non-fulfilment of perceived obligations may lead to disconnect. Congruence between what has been promised & what the employees receive from the organisation strengthens trust in the employment relationship. Psychological Contract between the employer and the employee involves the beliefs about the obligations that are predicted on the unstated perception that a promise has been made between the two stakeholders. Psychological contract is dynamic. It implies the inferences of the ‘Employee value Proposition’ as promoted by the organisation. It refers to the way the employment relationship is interpreted. It helps build the people dimension into thinking about organisational strategy. Now, the purpose of business strategies becomes how to get the best return from their employee’s energies, knowledge and creativity. Managing the favourable balance of this ever changing Psychological Contract is going to be one of the biggest challenges for the HR practitioners going forward. The workforce today has matured beyond wanting only compensation at par. They demand more from the job – well being. The organisations today have also recognised that an employee’s emotional and physical well being is essential for overall efficiency and maximum productivity of the employee. Hence a slew of measures will be required to be initiated by the HR Managers of tomorrow. One of the cornerstones of any relationship is the openness of communication and the amount of information sharing that is done in good faith. Employment relationship is no different. Organisations going forward will have to design policies which enable them to seamlessly share relevant information on a continuous basis with their employees and engage them in the state of affairs from time to time as important stakeholders driving in a transparent and accessible environment. Adopting fair practices and ensuring that there are no inherent bias that creeps into any of the HR related processes whether it is the recruitment, performance evaluation, compensation parity or even for that matter, facilitating the exit of an employee, there should be no room for any prejudice, preconceived mindsets and meritocracy should be the norm. This is a very difficult target to achieve, especially given that some of these processes rely on a great degree of an individualistic assessment of the situation. When fairness in process is religiously followed, it significantly reduces the employee –employer litigation matters. Any lapse in maintaining a stringent check on the fair and unbiased treatment can lead to the severing of an employment relationship. The problem occurs when the employee perceives that the organisation has failed to meet its obligations towards the employees and vice versa. This is a cognitive experience when either of the parties forms judgements regarding the level of breach of the unstated psychological contractual relationship. Ultimately resulting in Voluntary Turnover / Attrition which eventually results in elevating people costs to the organisation and lower productivity. This is a turbulent time for the HR managers. With increasing number of legal cases involving employees and the employer, mostly revolving around employments bonds, HR managers have a strategic role to play. From acquiring the right talent and designing perfect employment agreements to helping the employees sustain or have a peaceful exit, HR managers have quite a lot on their plates. Organisations trying to improve the quality or efficiency of employee’s work can gain a great deal while taking into consideration the holistic view of the Employment Relationship from the point of view of the employee and vice versa. Empathy from both sides is the key in this symbiotic association. A strong organisational culture aligned with the vision and the strategy of the company can elicit the highest performance and retention of the top talent thereby enabling the organisation to truly emerge as a great place to work in. Hi. 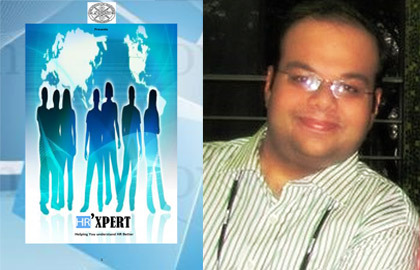 I read “Himanshu Kapadia’s “The Employment Relationship: Crucial Challenges for HRâ€ | Beyond the Walls – Welingkar Blog”. It was nice. View my blog sometime. Mummy usually says…Adopt…dont shop! I’m grateful somebody is trying to help my canine cousins! Hiya! I just want to give an enormous thumbs up for the great data you’ve gotten here on this post. I can be coming back to your blog for more soon. Hello! I simply wish to give a huge thumbs up for the great data you may have right here on this post. I might be coming again to your blog for extra soon. A new broom sweeps clean.An eye for an eye and a tooth for a tooth. Just about all emotions and belief aside, I think it has the possible to generally be one of your better works, might you keep making this sort of superior in your long term composing. I have been exploring for a little for any high-quality articles or blog posts on this kind of area . Exploring in Yahoo I at last stumbled upon this site. Reading this info So i am happy to convey that I’ve an incredibly good uncanny feeling I discovered exactly what I needed. I most certainly will make sure to don’t forget this website and give it a glance on a constant basis.